Many people think that a burglary charge is similar to a robbery charge. 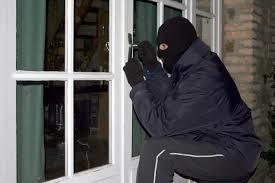 However, unlike robbery or other theft crimes, burglary does not actually require a person to commit a theft. You can be charged with burglary simply for entering or remaining on someone else’s property without license to be there, so long as the prosecution can prove that you intended to commit a crime on the premises. 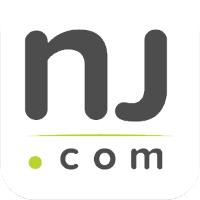 Worse yet, New Jersey prosecutors tend to seek maximum penalties in burglary cases; as a result, you could be looking at significant jail time if you are convicted. The lawyers at the Tormey Law Firm are passionate about representing clients accused of criminal offenses because we believe that everyone is entitled to a strong defense. We have handled numerous burglary cases in North Caldwell, Montclair, and everywhere else in Essex County, NJ. Our litigation team knows what it takes to win in the courtroom because we have a former municipal and county prosecutor on staff. Additionally, founding partner Travis J. Tormey previously worked at the United States Attorney’s Office. Call the Tormey Law Firm now at 201-654-3464 to get answers to questions about your burglary case and begin your defense. You can also view our Successful Burglary Verdicts & Settlements page. You can be charged with burglary even if you did not actually take anything. That’s because mere intent to commit a criminal offense, such as a theft or robbery, is enough to constitute burglary in New Jersey. You can also be charged with burglary for entering a structure (car, house) to commit an assault. It is critical that you avoid being charged with second degree felony. Not only will you be subject to enhanced penalties; the charge will also carry a presumption of incarceration, which means that it will be almost impossible to avoid being sentenced to prison time if you are convicted. Can I get PTI on my Essex County Burglary Charges? If you are a first time offender and have been charged with burglary, you should apply for the Pre-Trial intervention program. If you are recommended to the program by probation and accepted into the program by the prosecutor and the Judge, you will be able to complete a probationary period and remain out of jail. In addition, you will be able to keep this felony off your record as the charges will be completely dismissed once you successfully complete probation. Then, you can file an expungement to have the arrest removed from your record as well. The Tormey Law Firm will do everything possible to ensure that a burglary charge does not destroy your life. Call us now at 201-654-3464 to discuss your burglary case with one of our experienced attorneys. You can also email us to schedule a meeting at our office in Newark, NJ.